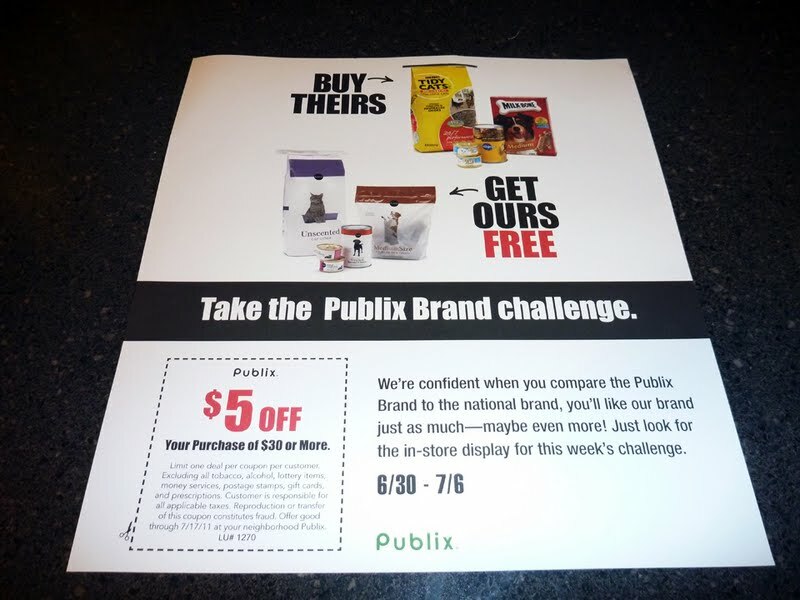 Show and Tell Meg: New Publix Coupon in Red Plum Mailer! New Publix Coupon in Red Plum Mailer! I found this little baby in my mailbox today! It's an ad for Publix's Buy Theirs Ger Ours Free items this week and it also had a $5 off $30 purchase coupon! Jackpot! I'm all out of these at the moment and they are absolutely key for getting those really good totals at the register. I was stoked. So, check your Red Plum mailer if you were lucky enough to get one!